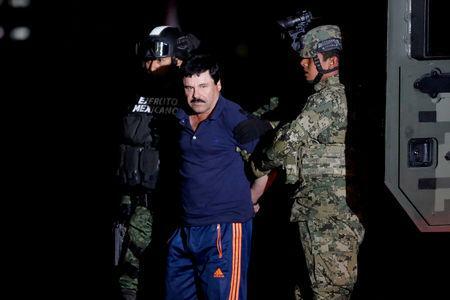 NEW YORK (Reuters) - Jurors in the U.S. trial of accused Mexican drug cartel boss Joaquin "El Chapo" Guzman ended their second day of deliberations on Tuesday without reaching a verdict. The 12 jurors in federal court in Brooklyn began their deliberations shortly after 9 a.m. (1300 GMT), and were sent home at 4:15 p.m. They are expected to resume at 9:30 a.m. on Wednesday. On Tuesday afternoon, the jurors asked to hear a phone call in which a man, who prosecutors say is Guzman, discusses selling methamphetamine in the United States, as well as part of one witness's testimony about importing ephedrine into Mexico to manufacture methamphetamine. The call was played for them, and court stenographers read them a transcript of the testimony. The jurors had asked on Monday whether ephedrine is considered methamphetamine, and were instructed by U.S. District Judge Brian Cogan to refer to the evidence in the case. Jurors also asked for the entire testimony of Colombian drug trafficking brothers Jorge and Alex Cifuentes, both of whom testified at length against Guzman. Because their testimony spanned several days, Cogan said he would give them written transcripts, which are expected to be ready on Wednesday.